GRASP "Getting it Right: Addressing Shoulder Pain"
Welcome to the GRASP Trial website. This site is designed for patients who are interested in participating in the GRASP trial and clinicians and researchers who are involved in its delivery. GRASP is looking at the best ways to treat shoulder pain in people with a rotator cuff disorder and is funded by the National Institute for Health Research. We are testing two different types of physiotherapy treatment pathways that are routinely used to treat people with rotator cuff problems. We are also testing whether a routinely given pain relief injection also improves recovery in people with rotator cuff problems. We aim to recruit 704 men and women from across the UK who have recently developed shoulder pain and where a health care professional has diagnosed that the pain is due to a rotator cuff problem. We hope that you find the information you are looking for here on the website. If you have any questions or comments, please get in touch with the GRASP team using the contact details at the bottom of this page. The GRASP trial is looking at the best ways to treat shoulder pain in people with a rotator cuff disorder. We aim to recruit 704 men and women from across England with a new episode of shoulder pain due to a rotator cuff disorder. For more information about the trial and what's involved click here. We are working with a number of physiotherapy teams in NHS hospitals across England to deliver the GRASP trial to patients in these areas. 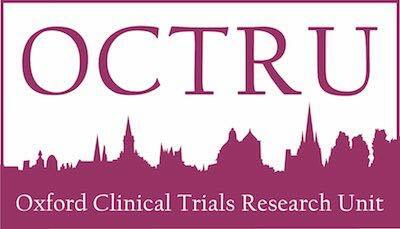 For more information about the trial, specifically for clinicans and researchers, and how you might get involved click here. What is a rotator cuff disorder? The rotator cuff is a group of 4 muscles on the shoulder blade with tendons that attach to the “ball” of the humerus (upper arm bone). These muscles and tendons help lift and rotate the arm. They also help hold the ball of the humerus firmly in the shoulder socket. Problems with the rotator cuff can make moving the shoulder painful and simple daily tasks more difficult.